Although many people might like it quite a bit, the LB PhotoRealism Reloaded has never really been every single person’s cup of tea. There’s a pretty large audience of people that plays this game mainly because of how open it is and how it allows them to put their creativity and would definitely change the visuals if given the chance to because the blocky look simply doesn’t appeal to them. Fortunately for these players, there are many resource packs out there that enhance the look of Minecraft in various ways and allow them to enjoy it the way they want to. 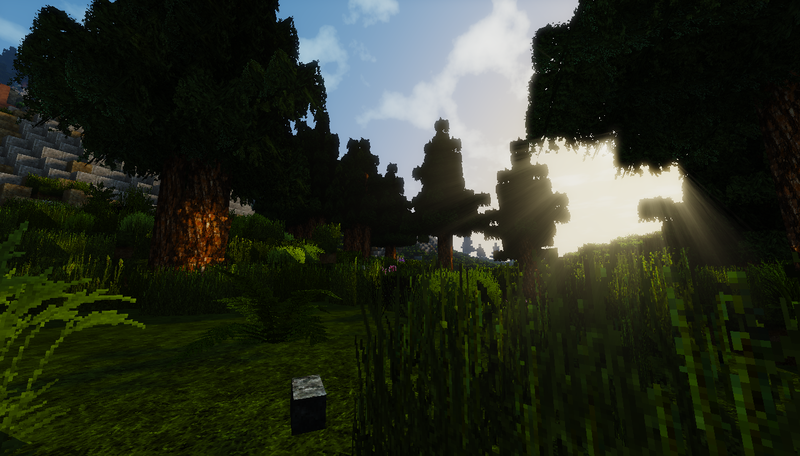 The LB Photo Realism Reloaded is an example of such a resource pack. As you could tell from the ‘reloaded’ in the pack’s name, it’s actually a remake of the original PhotoRealism Reloaded pack. The originals was designed by Scuttles who actually stopped working on it quite a while back so it was picked up by another person in the Minecraft community and was remade as the LB PhotoRealism Reloaded resource pack. The reloaded version improves on its predecessor in various different ways and allows players to enjoy Minecraft like never before. First and foremost, the resource pack is at the resolution of 128×128 which is quite high and basically makes sure that the textures will be really high quality. However, one thing to keep in mind regarding this mod is the fact that due to its high resolution, it might not run properly on all PCs and will probably a pretty big resource hog so if your PC is a bit low-end then you’ll have some difficulties running it. However, once you successfully do manage to get it working then it is well worth the effort since it enhances the visuals of Minecraft to a whole new level. As for what it does, the LB Photo Realism Resource Pack basically enhances every single in-game texture and make it look more high definition and appealing to the general audience. Pretty much every single thing ranging from the user-interface to the block textures has been given a pretty massive overhaul and looks much better than before. When using this mod you’ll hardly ever get the usual blocky and chunky look that Minecraft gives out and will have a much better experience. It certainly lives up to its name of being photorealistic because everything looks phenomenal. Note: If you do not like this texture, please try the S&K Realism Resource Pack.